Happy New Year! Seems strange to say that when we're almost hitting the middle of the month. 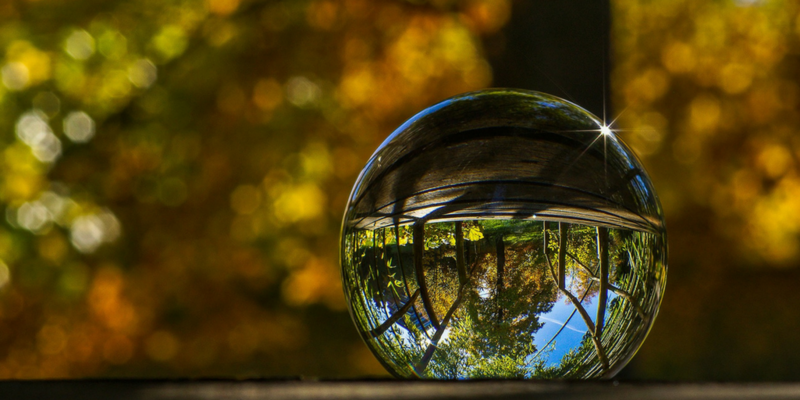 Last January I wrote a post titled My Social Business Predictions For 2017. Reading it over prompted me to dust of the crystal ball for 2018 and get writing again. However, just a couple of weeks ago I saw an update on LinkedIn suggesting "before anyone writes another set of predictions for 2018, take a look back and see whether you were right last year". A point well made. So, I'm going to mix it up by reviewing predictions from last year and adding in a few new ones for good measure. Enjoy! Happy employee = happy customer, right? 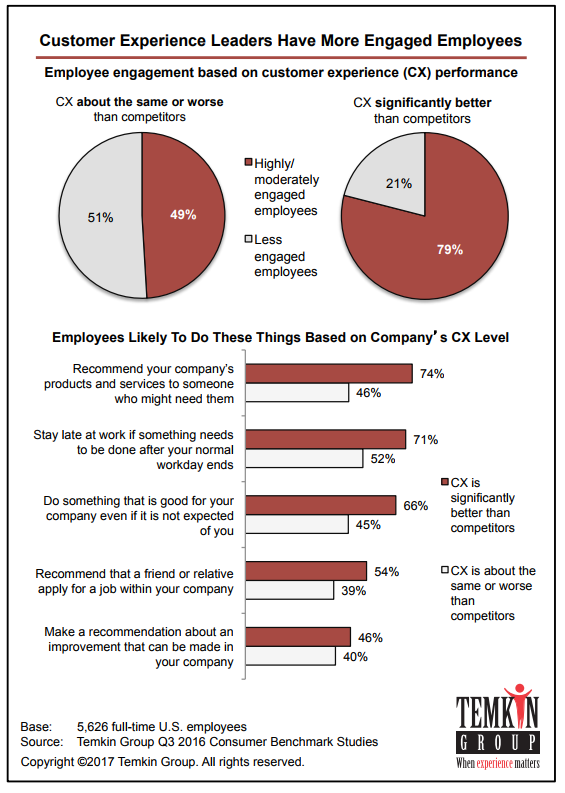 Have we really recognised the experience link between employee and customer yet? Possibly. 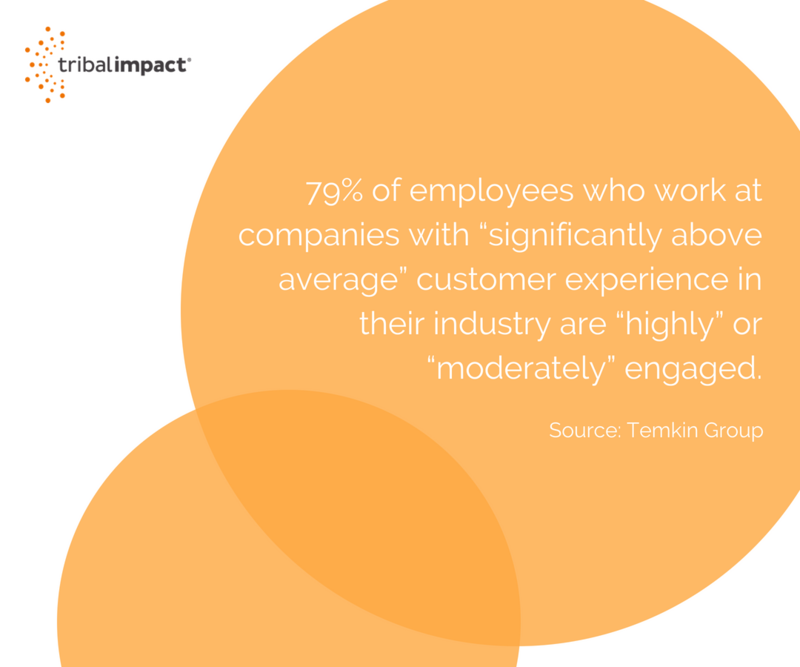 A 2017 study by Temkin Group showed that 79% of employees who work at companies with “significantly above average” customer experience in their industry are “highly” or “moderately” engaged, compared with only 49% at companies with “average” or “below average” customer experience . That said, is the marketing department hopping over the other side of the office to talk to HR about anything other than performance reviews and talent management? Probably not. But this is what needs to happen for brand experience to be authentic. I'm not sure we'll witness utopia this year but I think we'll see more cross functional collaboration. Departments will recognise that a siloed approach to Social Business won't yield results. Measuring the end-to-end financial impact of engaged employees actively participating in social advocacy is what needs to happen. Scale up your eyes and ears. Be active in more conversations. Create brand guardians within your business. When you do this, you see holistic business results - increased lead conversion, shorter sales cycles, increased deal sizes...I could go on. It's absolutely possible. We work with customers who are achieving this today. Last year I predicted that "Employee Advocacy Is A Program, Not A Tool". As social advocacy adoption increases (whether Social Selling, Employee Advocacy, Social Recruitment) businesses soon realise that isolated tools aren't the answer to embedding a culture of Social Business. At Tribal HQ, we engage mostly with organisations that wanted to drive more value from their social advocacy and LinkedIn Sales Navigator investments. Companies that have already purchased tools but now want to demonstrate and attribute revenue growth to their investment. 2018 Prediction: Stop Talking Tools. Talk About Behaviour Change. Implementing a tool is arguably quite simple if you project manage the detail. However, companies are quickly realising the complexity that surrounds social business transformation and the sensitivity that comes with engaging employees to become social ambassadors. Employees are reluctant (not surprisingly) to become your marketing megaphones. I predict that 2018 is the year when organisations will take a look at how well their programs are really working for them and try to understand what elements need to be adjusted to make their programs fly. By the way, we can help you here! Shameless plug. 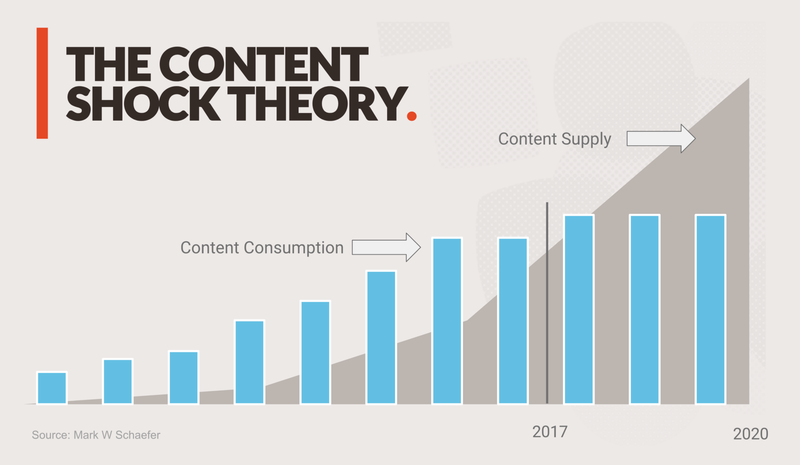 The content shock has certainly hit an all time high. As content marketing budgets increase, so does the digital noise. The challenge now is how to cut through that noise with authentic and credible content. The companies we've been working with in 2017 year recognised the declining impact of generalist content. They realised that generating more content for the sake of it does nothing to increase conversion, influence or generate pipeline. We're working with campaign managers and marketing teams to create a more authentic voice for the brand by enabling their employees to become their trusted subject matter experts online. Content culture is on the rise but I reckon it will get worse before it gets better. 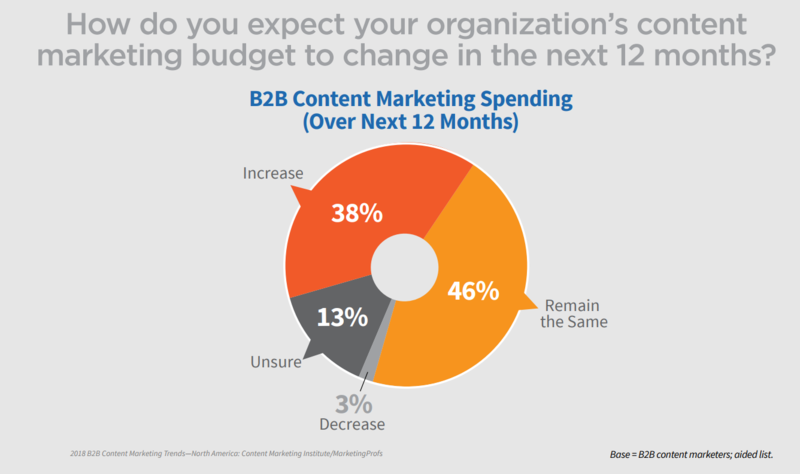 According to B2B Content Marketing Institute, 38% of all respondents expect their content marketing budget to increase in 2018. I just hope that doesn't go into producing more noise! With marketing budgets squeezed, resources stretched to the max and expectations for results increase, marketing needs to get smart. They'll turn to internal subject matter experts and train them to create thought leadership content that positions their expertise and thought leadership. Content that is more likely to be relevant, amplifies employee voice and appeals to audience need. Well, I was right with this prediction. More people are banging the Social Selling drum than ever before. In fact, according to Hootsuite, 98% of B2B enterprises see the value in social selling in the short and long-term. 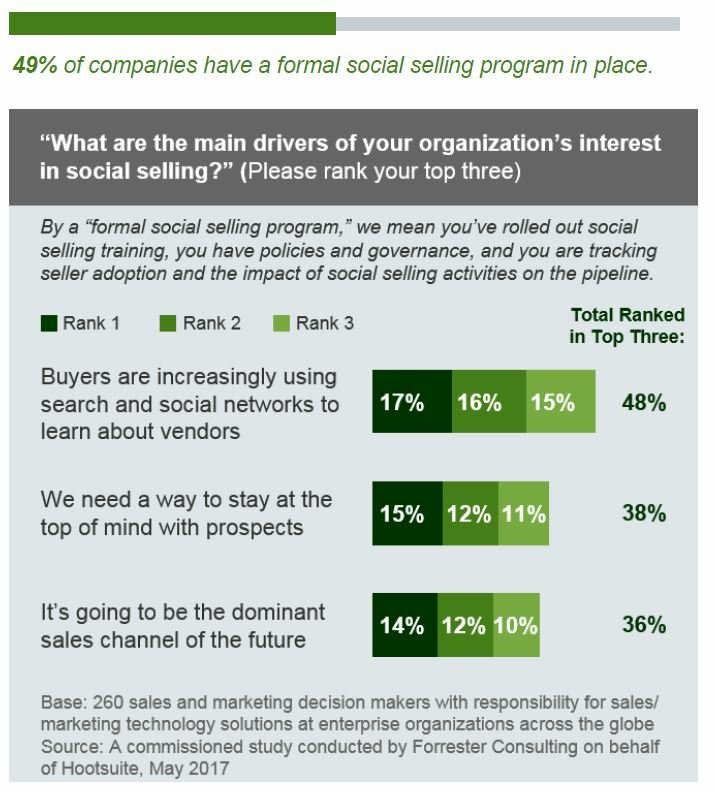 Of that group, 49% have already developed a formal social selling program. However, I stand resolutely behind my belief that a Social Business is more than Social Selling. It's holistic. Every employee has the power to influence a sale. Social Business is the art of embedding a social culture across the business, where employees are activated to join the social conversation in the capacity they feel most comfortable with - it may be sharing, conversing, listening or even creating. We'll see more organisations consolidate their programs. Those that are currently sitting behind the Social Selling curve will most likely recognise this trend and skip to a holistic Social Business solution from the outset. We'll see tool consolidation within larger businesses where siloed projects will merge under one umbrella program saving time, budget and resource. We'll see a consortium of functions within the business coming together to drive hoslitic business objectives - cost saving, revenue generating and employee engagement. Who will take the lead on this? We'll have to wait and see. I have my ideas but that's for another blog post. A new one for 2018. 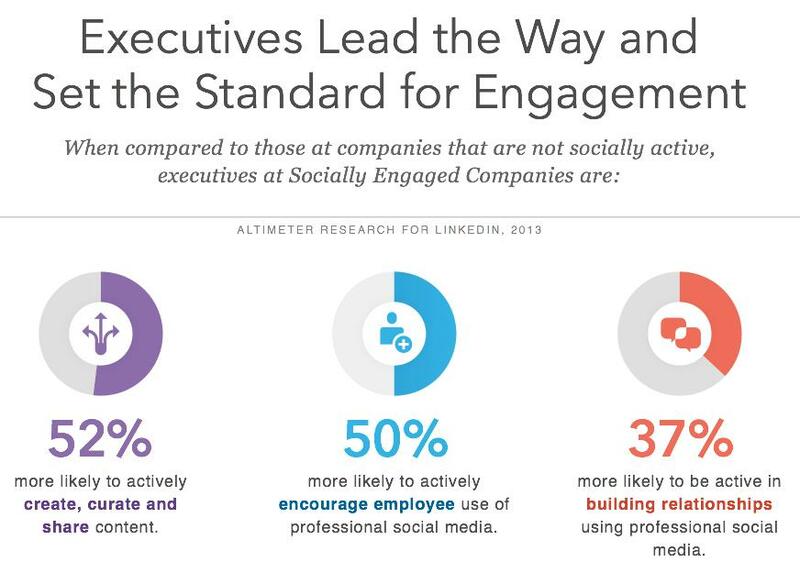 Most company leaders want to be more social because they feel they need to be. Their peers are active. Their employees expect it. Whilst the Altimeter research below is a little old, it does demonstrate the impact that executives lead the way and set the standard on social media. But, the reality is quite different. Executives often lack time to learn how they can get started. Perfectly normal and last year we helped kick start several executives in the right direction. True social leaders are the ones that engage on social media to be accessible and to listen to their customers and competitors. Being social is more than just pumping out content. It's about listening and engaging with audiences they care about. I believe Executive Communicators will engage more with leaders on this topic during 2018. Supporting leaders to focus more on 'social' and less on 'media'. Helping them to realise the value that comes with listening at scale and not just in face-to-face customer meetings. Another new one for 2018. The workforce is mobile. 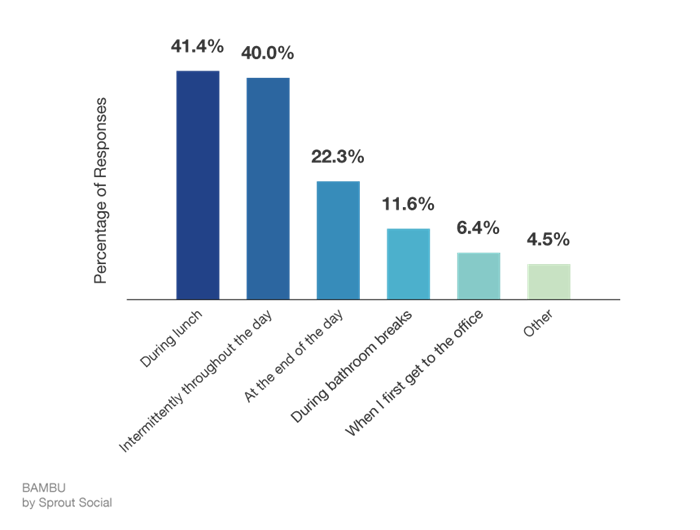 Whether you like it or not, your employees are accessing social media at work - in the lunch queue, at the coffee machine and even in the bathroom. It's true. Check out the research. A Salesforce study showed that users spend, on average, 3.3 hours a day on their smartphones. Our mobile device is becoming our life companion managing our calendar, conversations, interactions and content consumption. In fact, according to CareerBuilder, 70% of us keep our phones "within eye contact" at work - I know I do! A Social Business needs to keep the mobile workforce in mind which effectively means ease of use, accessible and on-the-go. This involves how you train employees, how they use apps to support their Social Business journey, how they access content and how they collaborate with other community members. So there you have it. My revised predictions for 2018 based on what I've seen, who we've worked with and emerging trends we're witnessing. I'm really excited for 2018. The team at Tribal HQ are building out some pretty cool programs to support our customers on their Social Business journey.